Hey! Recently we have been getting quite a few new products and I thought it would be awesome to show you all what we got. We have been lucky enough to receive some free products to trial from some amazing companies as well as purchasing some of our own stuff. Wolves of Wellington Diego is quite a puller on walks, and has been starting to hurt my one arm I walk him with. 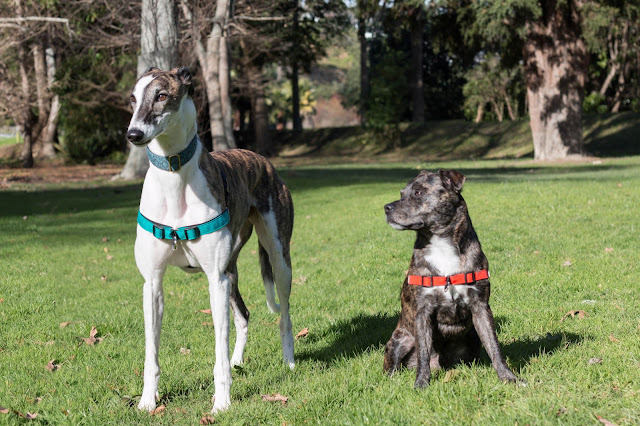 I saw Willow from Wolves of Wellington wearing a Linden Harness and was amazed by how well behaved she was. That made me need it in my life, so I purchased one for Diego and mum got one for Chico at the same time. I had been wanting an orange collar for Diego and hadn't found a good one yet, so I made sure to get his harness in orange! He is also a size medium. Chico got his in a Blue Large. We were also given a bowtie to try, and it looks amazing on Diego. It's super cute, and when you purchase you are helping HUHA. This year has been quite different for us, and a lot of crazy stuff has happened to us in the last seven months. It has meant that we have been very unsettled, and have moved through a couple of houses and situations. What that means, is the current situation is me working in one city during the week, while Diego lives in a city three hours drive away. Each weekend I will be travelling up to see him and my family again. This is not the most perfect situation, but it is what works for us currently until we can settle in the city I am working in. It has been quite a mission to find a suitable accommodation for Diego and I with our current needs, but I am chipping away at it so hopefully this situation won't last for too much longer. It means that any time I spend with Diego, and my family is more important as the time is shortened. This past weekend we got up to a bunch of cool activities, and it was amazing to see everyone again. I have always been fascinated by the work that Search and Rescue Dogs do. I am amazed by how they can tell so much just from scent, and how we as humans have learnt to read their body language to tell us what that dog is saying about each scent. So when I saw this book at my local library, I knew I had to read it. 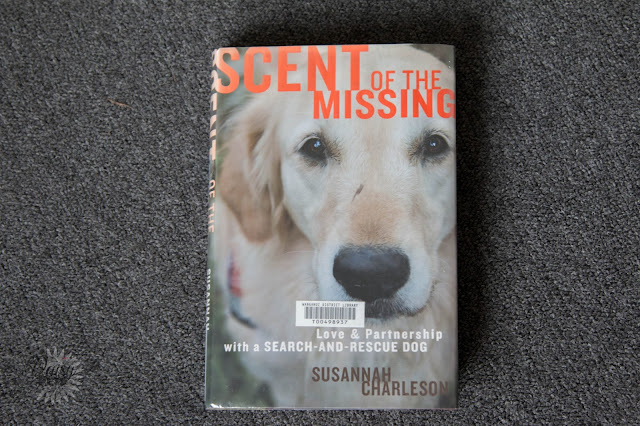 The book is Scent of the Missing and was written by Susannah Charleson. 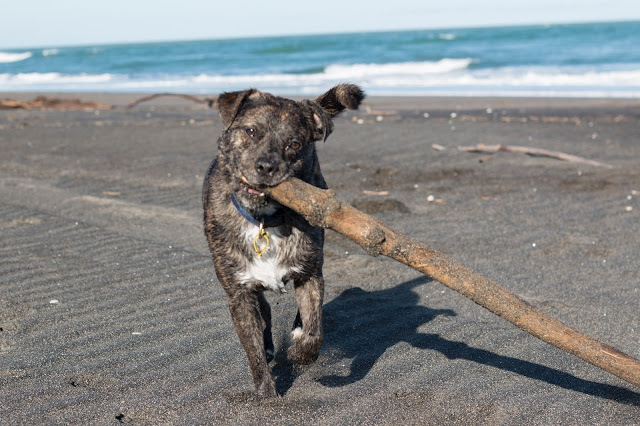 The book follows her journey as an assistant to search and rescue (SAR) teams, and then her gaining and training of her own search and rescue dog. Hey! 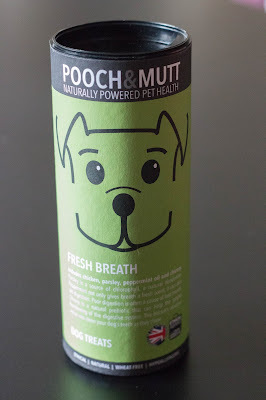 Recently Diego celebrated his second birthday, and for his birthday we had a Treat Haul that contained these Pooch & Mutt Fresh Breath Treats. I had never seen these treats before, and was interested in giving them a go. Pooch & Mutt is a UK based company that is aiming to make ethical and natural treats for man's best friend. They have a range of products that aim to help with some of the most common problems in dogs, like bad breath or joints. The treats are as ethical as possible, and have PETA behind them as they do not test on animals. The treats are handmade, wheat-free and hypoallergenic so they are enjoyable for most dogs.